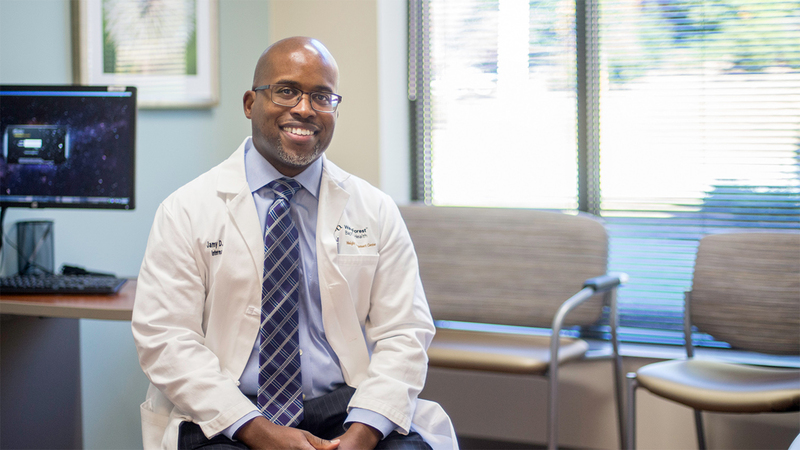 Jamy Ard, MD, works with obese and overweight patients to help them lose weight using medical, behavioral and surgical approaches, and he conducts research on the impact of new medications and treatment strategies in weight loss. He brings innovative weight loss treatments to patients, giving them new opportunities for success and improved health. After receiving his medical degree at the Duke University Medical Center in 1997, Ard served residency and fellowship positions at Duke through 2003, when he accepted a faculty position at the University of Alabama at Birmingham, where he remained until 2012, when he joined Wake Forest. He became a full professor in 2016, along with his positions in the Weight Management Center and the Medical Weight Loss Program, where he cares for patients and conducts his research program. In his research pursuits, Ard focuses on various aspects of obesity and overweight treatments because of the current prevalence of the conditions, which affect two out of three adults in the U.S. and have major implications for public health and the health care system. With the considerable resources available in the Weight Management Center and the Medical Weight Loss Program, he explores new strategies to optimize weight loss outcomes for disease prevention or amelioration of diseases associated with obesity, such as heart disease, diabetes and hypertension. During his education and clinical experience, Ard has sought to make a difference in people’s lives by guiding them successfully through the weight loss process, and that philosophy extends to his research. By developing new strategies for intervention and treatment, his work can profoundly impact his patients’ health and well-being, with significant weight loss playing a central role in reducing the burden of disease in many populations. Ard’s research offers considerable benefit to his current and potential industry partners. He designs and conducts clinical trials comparing weight loss strategies and therapies. Ard is interested in developing medications that are currently in the pipeline, or conducting targeted assessments of the benefits or impact of existing medications in clinical populations of people engaged in weight loss treatments. He is interested in industry collaborations that broadly expand access to care for obesity treatment and to elucidate how to tailor treatment strategies for individuals. With a large, diverse population of patients, considerable expertise in recruiting and a multidisciplinary team in comprehensive center, Ard and his group have much to offer potential industry collaborators.